Whether you are looking to install aluminum mini blinds, wood blinds, cellular shades, or some other form of window treatment, you need to start by measuring your windows because even the slightest mistake can prevent you from sealing your windows completely. As a result, too much heat may escape your home during the winter, thereby increasing the price of your energy bill. BlindsOnLine.com has tons of different options for window treatments from all sorts of white label manufacturers, each of which may require different measurements. If you are a decorator, facility manager, or a Do-It-Yourselfer, there are many different variables that can affect how you should measure your window prior to purchasing shades or blinds. Visit https://www.blindsonline.com/pc/How-to-Measure-Install-Blinds-and-Shades-d4.htm or explore the BlindsOnLine.com website for yourself to learn more about how to properly measure and install your own blinds or shades. With countless toxins being released to the air and the population reaching frightening new levels (about 9 billion by 2050), there are more and more reasons to start being environmentally conscious. One way to do this is by purchasing green-friendly shades for your home. Not only are energy-efficient blinds good for the world that we live in, but they can also save you a lot of money on your power bills. This is because these green-friendly treatments effectively seal all leaks between the window frame; thereby minimizing the amount of heat that is able to escape. Like many of BlindsOnLine.com’s other products, their cost saving shades are also UV ray resistant. 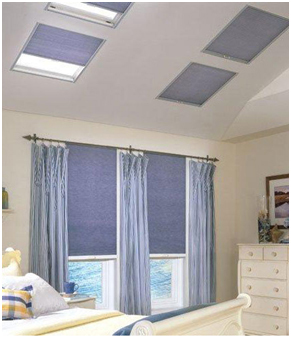 To find out more about all of the energy-efficient shades available from BlindsOnLine.com, visit their website today. If you would like to gain more design and installation ideas view https://www.pinterest.com/skylinewc/energy-efficient-shades/ today!